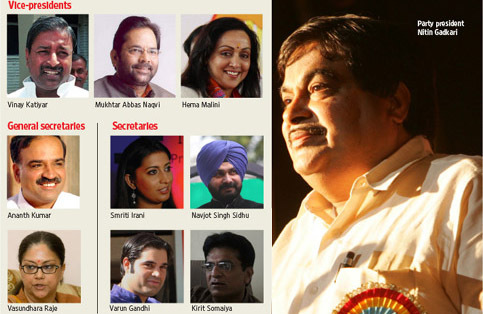 Bharatiya Janata Party President Nitin Gadkari has announced party’s National Executive. It consists of 121 members, including 13 Vice-Presidents, 10 General Secretaries, 15 Secretaries and one treasurer. As provided for in the BJP constitution, the Office Bearers include as many as 13 women, 33% of the total number. In all, there are 40 women members. Besides, the President has also constituted BJP’s Parliamentary Board. The names of the members of the Central Election Committee, Morcha Presidents and Conveners of different cells besides some other functionaries will be announced later. Parliamentary Party Secretary and Jt.Sec.